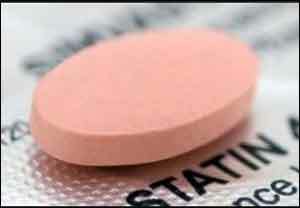 Statins are one of the most widely prescribed medications worldwide for dyslipidemia. They are lipid-lowering medications found to reduce cardiovascular disease (CVD) and mortality in those who are at high risk. However, adverse effects of the drug including muscle pain reported by about 10 percent of people taking statins resulting in intolerance has become a serious challenge to its extensive use . After reviewing all the factors a balanced approach of alternate-day dosing of statins has been proposed for patients who are intolerant to daily dosing. The present systematic review and meta-analysis was conducted to offer evidence for safety and efficacy of alternate-day dosing of statins in comparison with daily dosing. The PubMed, SCOPUS, Web of Science and EMBASE were searched and and consequently it was found that , 12 randomized controlled trials (RCTs) and 1 quasi-RCTs involving 1023 patients, met eligibility criteria. The main focus and primary outcome was, change in low-density lipoprotein cholesterol(LDL-C), total cholesterol (TC), and triglycerides (TG), and secondary outcomes included adverse events and adherence. It was found that there was no statistically significant difference between alternate-day and daily regimens of atorvastatin and rosuvastatin in terms of change in LDL-C (mean difference [MD], 6.79 mg/dL [P=.11] and 10.51 mg/ dL [P=.06], respectively) and TG (P>.05). As compared to alternate-day regimes, TC and LDL-C lowering were superior with daily regimens of atorvastatin and rosuvastatin in term of change in TC (MD 12.45 mg/L [P<.00001] and 15.80 mg/dL [P=.002], respectively). It was also found that both alternate and the daily dose of statins were well tolerated with good adherence. It was concluded that in the meta-analysis that alternate-day dosing of individual statins (especially atorvastatin and rosuvastatin) is as efficacious as daily dosing on low-density lipoprotein cholesterol (LDL-C) and triglycerides (TG). However, daily regimens of atorvastatin and rosuvastatin were superior to alternate-day regimes on total cholesterol (TC).